This Green Goddess smoothie packs in healthy vegetables and chia seeds for extra nutritional benefits. 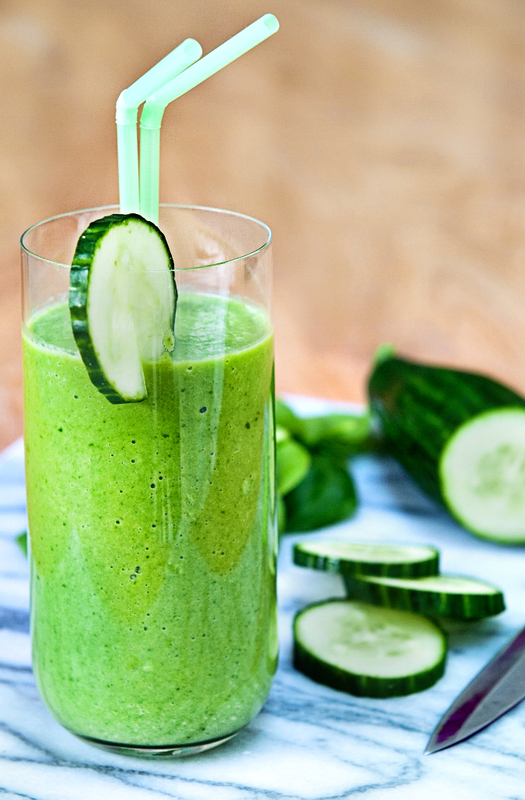 If you baulk at the idea of drinking vegetables, this creamy smoothie will change your mind! Wash the spinach under running water. Wash and slice the cucumber. Halve and stone the avocado, cut into strips and drizzle the lime juice over. Put all the vegetables in a blender, add the coconut water, chia seeds and honey if using, along with a handful of ice cubes and blitz to a creamy consistency. Serve immediately.